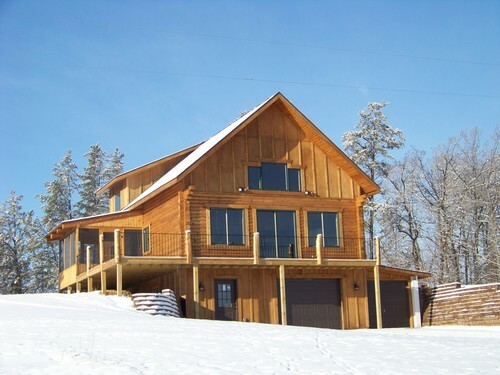 Beautiful and unique log home built in 2012 on 3.8 acres and 150' of lake shore on west side of Lake Marquette. This 3 BD 2 BA home has an open floor plan, vaulted ceiling and beautiful natural wood finishing with log accents throughout home. Extra storage space in basement and plumbed for 3rd bath. Tuck under garage with an extra deep garage attached on the north side. Concrete driveway. Land includes access directly to Carr Lake Road.